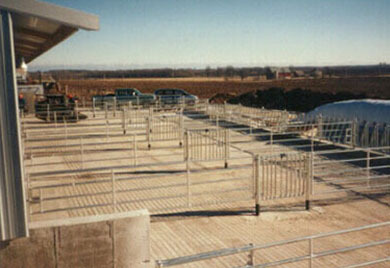 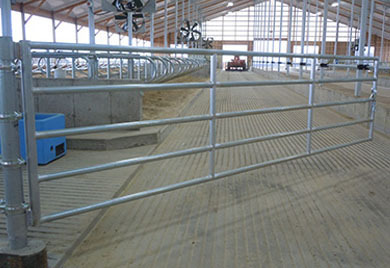 Freudenthal Cattle Gates have become known as the BULL of gates in the Dairy Industry. 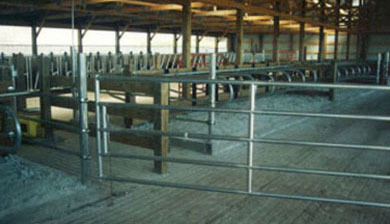 Our gates are the heaviest, strongest gates on the market, guaranteed. 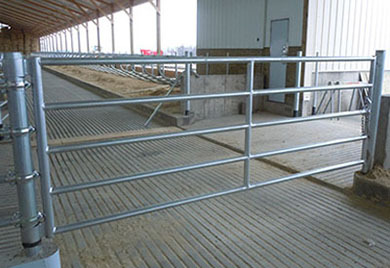 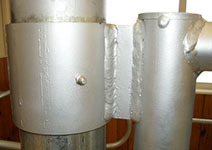 Our 5-Bar Gates are constructed of 1.9" 11 gauge high tensile strength hot dipped galvanized steel with a heavy 2 3/8" O.D. 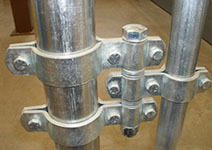 10 gauge end vertical post that hinges are attached to. 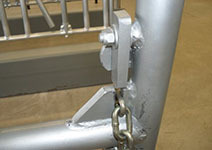 These gates come standard with a fool proof heavy duty chain latch with high test chain. 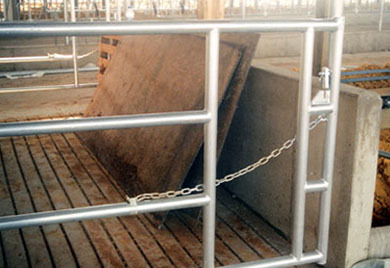 Note: Other latch systems are available. 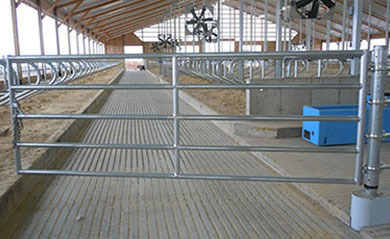 See gate illustrations for hinge options.